The apartment was within walking distance of the things I was in London to see -- the British Museum, the theatre, the British Library, Westminster Abbey. The neighborhood was near lots of restaurants and shops, and reminded me of Greenwich Village in NYC -- a little funky. Carmody Street, with its cute pedestrian mall filled with cool restaurants and pubs is about 7 minute walk away. Try "Mother's Mash" restaurant -- it was great! Also, although I was stuck in traffic and was late to pick up my keys (kind of a hassle, btw), Gio (who met me) was patient and a very nice guy - we had a lovely chat, and he was nice to deal with. Apartment location was great for Covent Garden, Theatre District, Soho and Oxford Street for shopping - all walking distance. A few good / lively bars and restaurants in Dean Street. We were able to check into the apartment early (mid-day) and leave our luggage there for collection later in the day of departure which was great. Great location for groups of friends - would highly recommend if you are planning a night out in Soho/ Covent Garden. Excellent value for money and a lovely, very well equipped apartment. I would highly recommend Dean Street to any one. Rooms nicely decorated and furnished. WiFi good. Quiet and cool for sleep. Good hot water and showers. Location and price were perfect. We will rebook this apartment again. 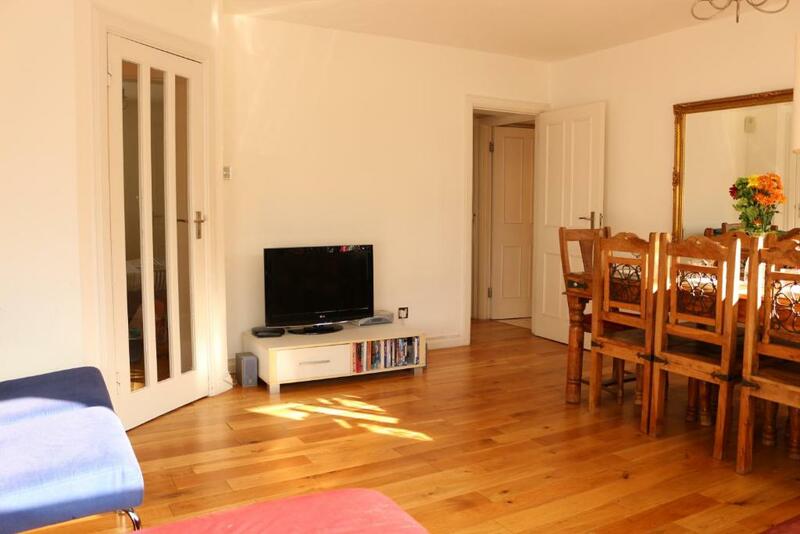 Great location, ideal for seeing all the London sights and attractions great shopping, restaurants close by with choice of different foods to suit all, would book this apartment if we were to visit London again in the future. Lock in a great price for Dean Street Apartment – rated 8.7 by recent guests! Dean Street Apartment offers accommodations in London, an 8-minute walk from Prince Edward Theatre and half a mile from Queen's Theatre. The property is an 11-minute walk from Arts Theatre. 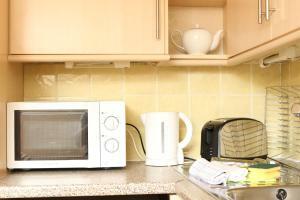 The apartment features 2 bedrooms, a kitchen with a dishwasher, a washing machine, and a bathroom. A flat-screen TV is offered. Dominion Theatre is 0.6 miles from Dean Street Apartment. London City Airport is 10 miles away. 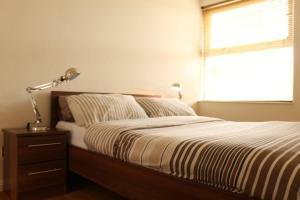 뀐 Located in the real heart of London, this property has an excellent location score of 9.6! When would you like to stay at Dean Street Apartment? 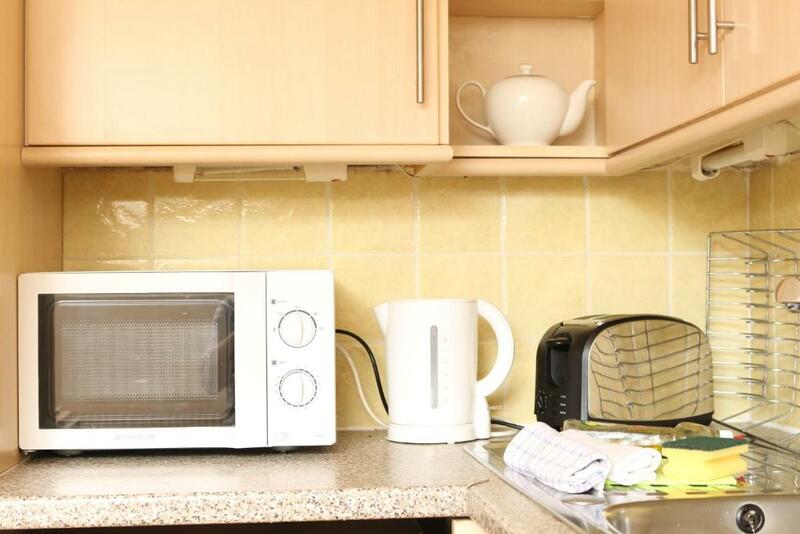 This apartment features a kitchenware, CD player and electric kettle. 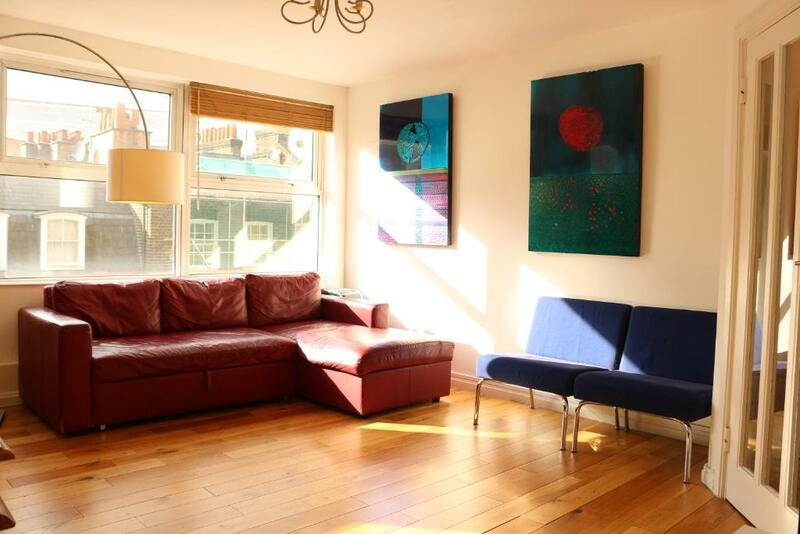 This is a fabulous apartment set in the heart of London, moments away (by foot) from many London attractions. The apartment is quiet at night as the bedrooms are at the rear of the building away from any possibility of noise. Moments away are some excellent of bars, restaurants and shops, and parks. 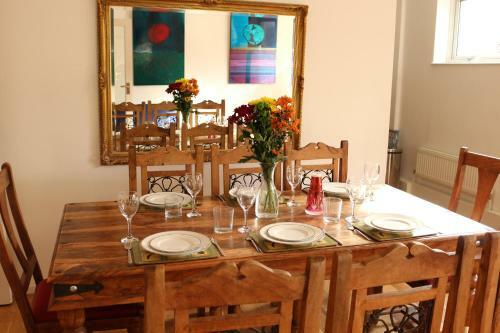 This cosy apartment is ideal for families on vacation and business travellers alike. 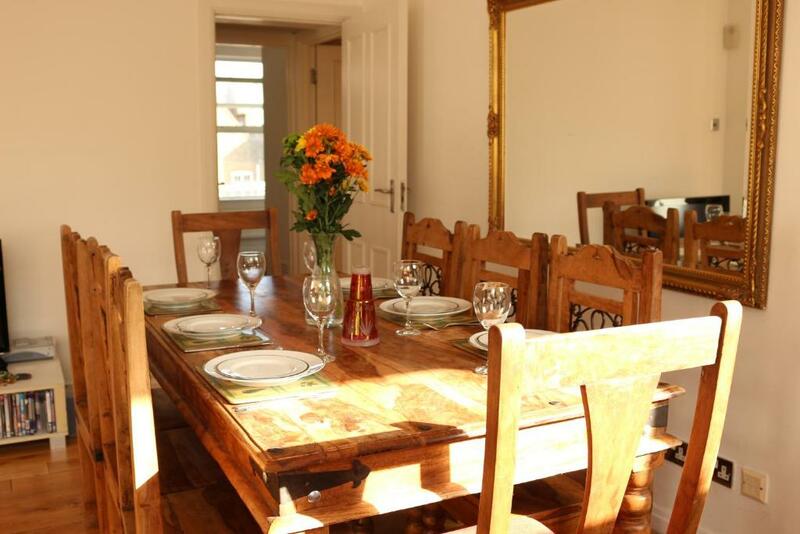 It has a double bed in the bedroom, a further double in the smaller second bedroom, a double sofa bed in the lounge, and semi separated kitchen; it can easily accommodate 6 adults OR a mixture of adults and children. A cot and high-chair can be made available for babies/toddlers upon request. 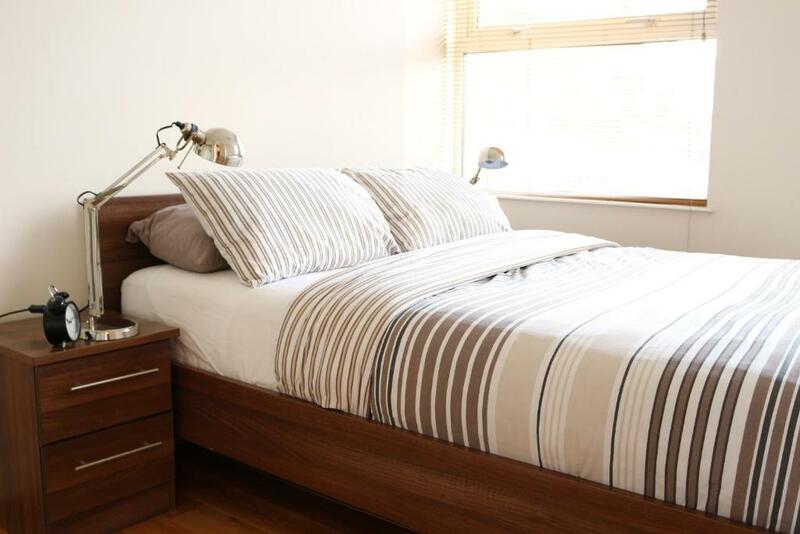 The perfect apartment for business travellers or visitors to London who want to live like true Londoners; in an area with lots of charm, character and history. We are an independent vacation/short term rental company that specializes in rentals in the very centre of London. We believe that to make the most of a city, visitors should stay in its very heart, in neighbourhoods that are lively, central and safe. We would like to think our guests really get to experience London, as a Londoner, being able to live and walk to some of the city's most famous attractions and sights. 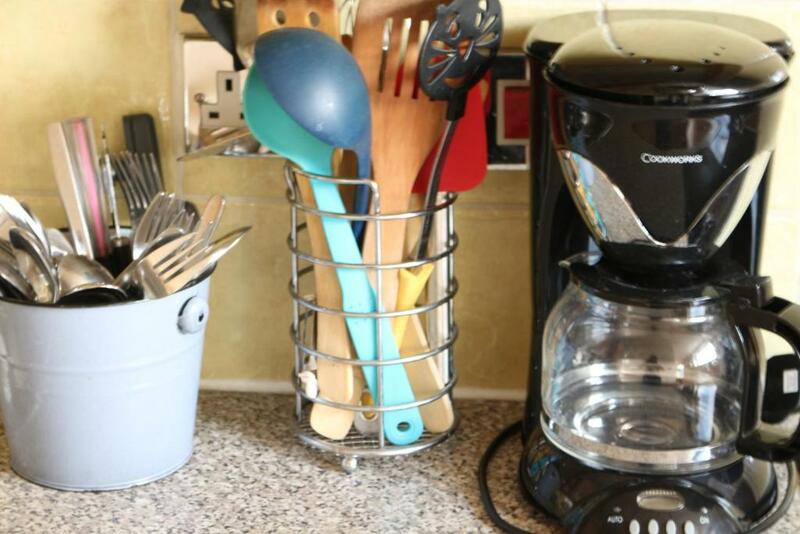 Our guests benefit from clean and tidy Standard and Luxury Self-catering apartments, within walking distance to attractions with the knowledge that one of our staff are at hand to address any issues during your stay. Our staff are often a useful source of local information and tips. The apartment is extremely central and located in trendy Dean street, SoHo, part of London’s “West End” and within walking distance to a number of tourist attractions including. •	British Museum, British Library, National Art gallery, National Portrait gallery, London Transport museum •	Shopping streets : Oxford, Regent, Carnaby streets, Neil Street, Covent Garden •	Leicester square, Trafalgar Square, Piccadilly circus and China Town and SoHo, •	St Pauls, Smithfields and Tate Modern(slightly longer walk) •	Parks : St James, Green, Hyde and, Lincoln Fields •	Universities: UCL and Westminster. •	South Bank (London eye, Hayward gallery and south bank theatres) •	Westminster Buildings, The Royal palace, The Ritz, Piccadilly. •	Tate Modern, London Business School, Regent’s Park, London Canal and, the London Zoo are also walk-able for those with a bit more energy. House Rules Dean Street Apartment takes special requests – add in the next step! Debit card Dean Street Apartment accepts these cards and reserves the right to temporarily hold an amount prior to arrival. Dean Street Apartment accepts these cards and reserves the right to temporarily hold an amount prior to arrival. A damage deposit of GBP 250 is required upon arrival – that's about 323.89USD. This deposit is fully refundable at check-out as long as there's been no damage to the property. It meets our expectation overall. Fab location. Really helpful guy at the apartment in terms of storing bags and local knowledge. Fab spot for a bit of people watching! We were watching Aladdin at the Prince Edward theatre and the apartment could not have been more convenient for getting the kids back to after a late night. Would highly recommend. The beds were comfortable and the wifi very good. Door to street broken. Ensuite in main bedroom has no door, so fully aware of anything in there. Settee looked tired and doormat very dirty so not good first impression but overall ok.